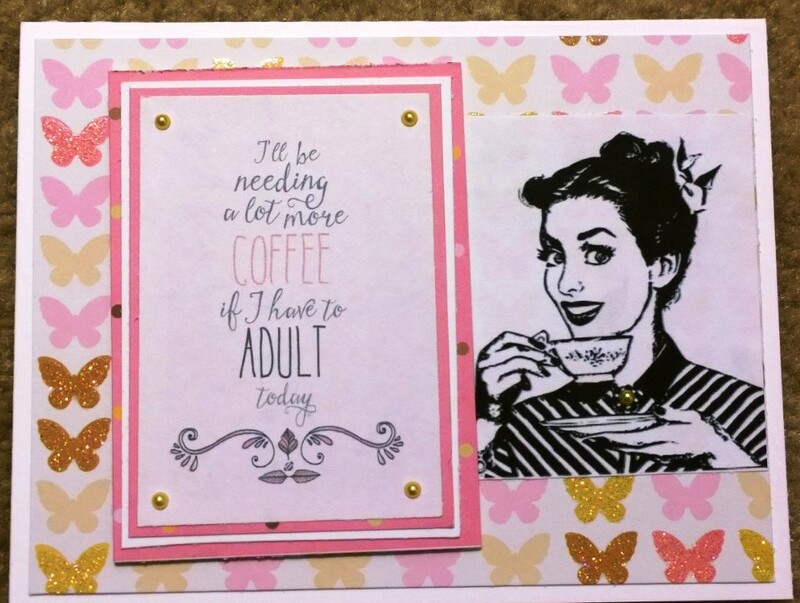 All My Love Crafts: Retro Coffee Card Design for Spring! 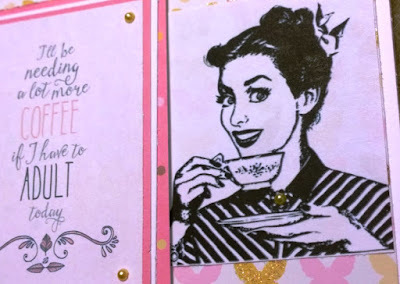 This card was inspired by papers from a Glitz & Glitter paper pad called "Posh Petals" from Ross. 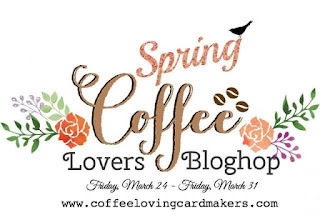 The retro coffee with a smile digital stamp is from TLC Creations, whose link is in the left column of my blog, and the sentiment is from Lost Bumblebee. 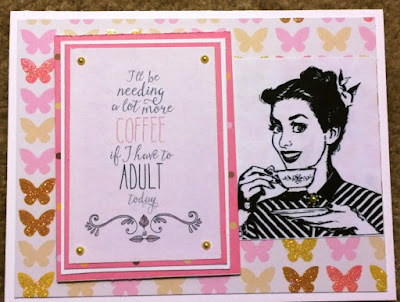 This card is number 964 at Coffee Loving Cardmakers! lol Such an awesome card! Oh my goodness!!! It's absolutely stunning!! !Love this retro look!!! LOL...love this, great retro image! Love the retro look, so cute! That sentiment is simply awesome & we all need it. lol Great card! Fabulous design and love the retro image of the lady.